Performers include: Dana Carvey, Steve Carell, Bill Chott, Stephen Colbert, Heather Morgan, Peggy Shay, Robert Smigel, Elon Gold, Chris McKinney, James Stephens III, Colleen Dunn, Louis C.K., and Robert J. Locke. 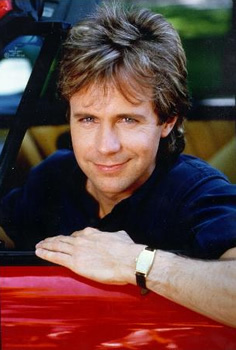 Comedian and Saturday Night Live (SNL) alum Dana Carvey stars in and hosts this half-hour sketch comedy series. Each show begins with Carvey fielding questions from his studio audience (ala The Carol Burnett Show) and then Carvey and his team of comedians (Steve Carrell, Stephen Colbert, Elon Gold, Chris McKinney, Heather Morgan, Peggy Shay, Robert Smigel, and James Stephens) perform skits that comment on politics, parody news stories, movies and television, and poke fun at whoever and whatever the writers (Carvey, Carrell, Colbert, Gold, Louis C.K., and Charlie Kaufman) set their sights on. Skits included everything from the topical Republican primary candidates, to the simple, “Waiters who are nauseated by food,” and the animated, “The Ambiguously Gay Duo” (which later became a part of SNL). Several of Carvey’s characters created for SNL are also featured in sketches on the show. As an homage to the variety shows he grew up watching that were sponsored by an advertiser, Carvey follows suit. The title for each evening’s show features an advertiser: “The Taco Bell Dana Carvey Show,” “The Mug Root Beer Dana Carvey Show,” “The Szechuan Dynasty Dana Carvey Show,” etc. Sponsored or not, Carvey finds a way to keep the audiences laughing during the week with the humor he honed on Saturday nights.